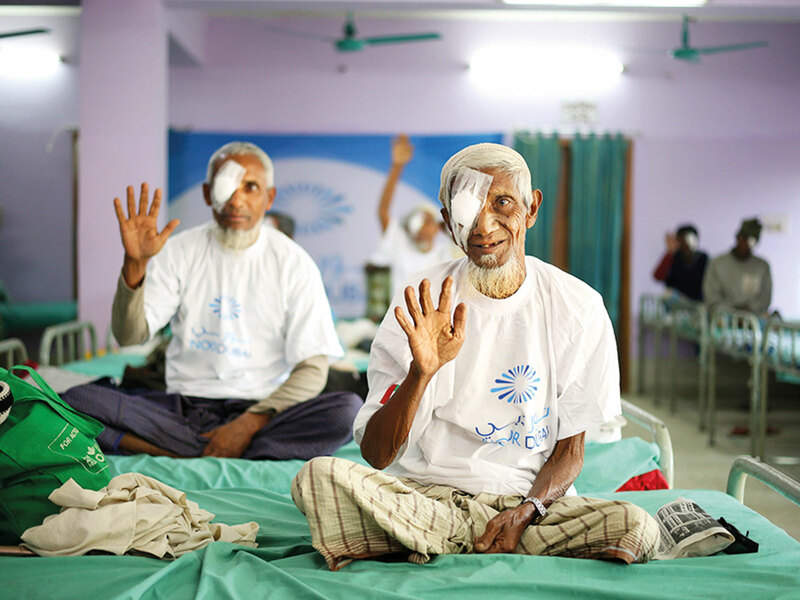 Dubai: Noor Dubai Foundation is providing free eye treatment for Rohingya refugees after a health survey conducted found that 50,000 refugees in bangaladesh needed it. The non-profit organisation, which has reached out to over 27 million individuals since its inception in 2008, is out to prevent blindness and diseases that cause blindness. The United Nations High Commissioner for Refugees estimates that more than 750,000 refugees comprises the Muslim minority in Myanmar who have fled to Bangladesh since August 2017. The refugees reside in 30 camps in the city of Cox’s Bazar. “The UAE has been continuously playing a vital role in providing humanitarian help for the Rohingya refugees. The refugee camps do not have the needed treatment. The closest hospital to the camps, which provides the necessary eye care, is more than an hour away and they have limited resources. The hospital has only two doctors, one of which is a visiting doctor,” said Dr Manal Taryam, CEO of Noor Dubai Foundation.